A FAIR PROPOSAL Annaïk Lou Pitteloud, Michiel Ceulers, Judith Kakon 24 November, 2018 – 09 February 2019 Barbara Seiler is pleased to open a new gallery space and to present A Fair Proposal, an exhibition with Annaïk Lou Pitteloud, Michiel Ceulers and Judith Kakon. SOMETHING OLD, SOMETHING NEW, SOMETHING BORROWED, SOMETHING BLUE: A FAIR PROPOSAL “Something old, something new, something borrowed, something blue”: often used in an engagement. One or more persons agree to meet or be present at a specified place in time. Placed or rather displaced from a specific time and space, a structure displays a conversation between inbetweeners. Their dialogues and monologues are sometimes old, sometimes new, sometimes borrowed and sometimes blue (The pun) A fair proposal, an engagement deemed favorable by all involved. (O it is o so easy to get involved) Quoted beside this structure is a sculpture that reminds of a quote by Barnett Newman (who also loved blue): “Sculpture is what you step into when you step back to see a painting”. (Kindly warned you are) SOMETHING OLD, SOMETHING NEW, SOMETHING BORROWED, SOMETHING BLUE has originally been proposed to Art-o-rama and was supposed to take place in Marseille in late August 2018. Due to unforeseen circumstances the project didn’t happen. Born 1980 in Lausanne, Annaïk Lou Pitteloud’s works are customarily spare. 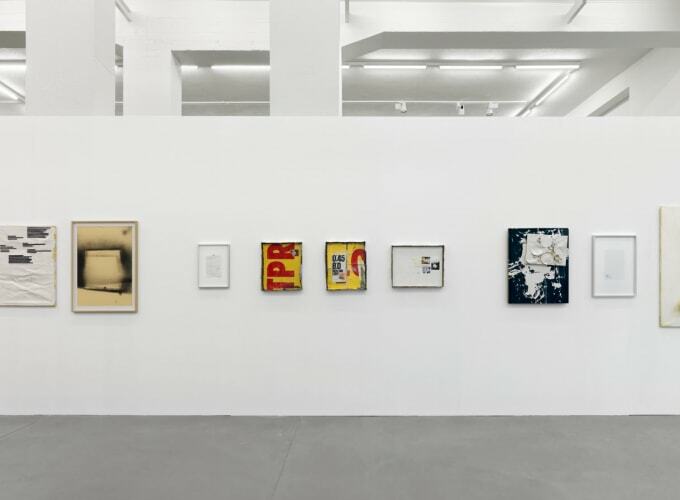 The Swiss artist’s engagements with Institutional Critique, critical theory and life outside the cultural sphere tend to be stripped down and reduced to basic frameworks. Pitteloud’s images and objects at the edge of the visible initially designate the impossibility of visually grasping these relations that increasingly determine our lives. She operates a realism of the non-illustrated, more precisely, the hidden. Pitteloud has recently completed ‘Consensus’ major commissioned work for the Swiss Parliamant. 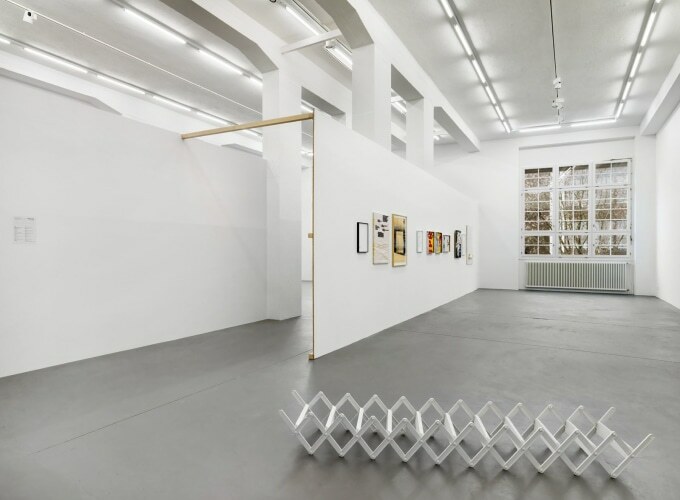 Her work has been shown in solo exhibitions at Kunstmuseum St.Gallen (2015), Musée cantonal des Beaux-Arts, Lausanne, CH (2016), and she participated in Riga Biennale (2018), Shanghai Biennale 2012. Michiel Ceulers’ (b. 1986, Waregem, Belgium) process-oriented paintings are known for bearing evidence of their mistreatment in the artist’s studio. Often tearing, taping, sanding and puncturing his can canvasses. Ceulers work borrows freely from arts historical styles. In-depth with language they evoke the randomness of human encounters and the impossibilities of communication through the medium of painting. Ceulers lives and works in Brussels Belgium. Ceulers graduated from the Rijksakademie, Amsterdam in 2011. 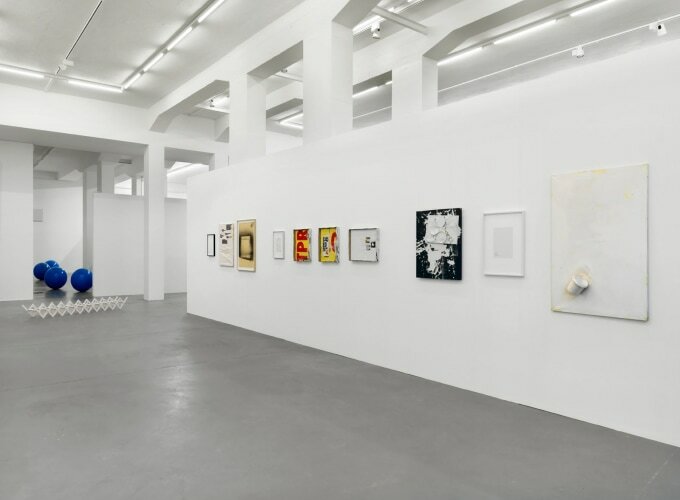 Recent exhibitions include: Arts Club, London (2014), Bonnefanten museum (2013); GeM - Museum voor Actuele Kunst, The Hague (2013); Kunstmuseum Stuttgart, Stuttgart (2012). In her work, Judith Kakon (*1988, Basel) examines the physical impact and dialog of her own body to the object. ‘Come down the stairs and meet me’ is part of ten identical stairs, which the artist disassembled, painted and reassembled. Each stair can take a different shape and occupy the space in different ways – extended, contracted, leaning on a wall, laying on the floor – yet they are all identical as such. Kakon’s work has been shown among many places at Kunsthalle Basel, MASI Lugano, and at Swiss Art Awards. This exhibition is the first in our new gallery space in Löwenbräukunst Zurich and on the gallery platform called HIGH CEILING. The platform is a new gallery model, which includes five galleries, three exhibition spaces and one project room, office space for each gallery and shared reception with interns. The galleries take turn exhibiting, so each gallery has exhibition and exhibition-free times. The platform model also allows the galleries to develop and place new ideas, projects and business models in addition to the classic gallery business format, with the constant goal of connecting art to society.